1.This promotion is only available to valid new account holders aged 18 or more. 2.The bonus will be credited to new accounts upon successful verification of the email address provided. No deposits are required. 3.It can take up to 10 minutes for the bonus to be credited. 4.Only one bonus per casino customer. 5.Bonus is valid 28 days after credit. After this time, the bonus will cease to be valid and remaining funds will be removed from your account. 6.This offer is available from 2nd January 2015 until further notice. 7.This bonus carries a 100x wagering requirement. The £5 must be wagered at least 100 times before a withdrawal can be made. So you need to wager 100 x £5 = £500 before you can withdraw your bonus. 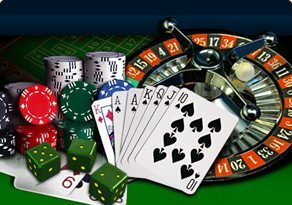 8.Wagers on Blackjack and Roulette do not contribute to the reduction of the wagering requirement of bonus balances. 9.Maximum winnings from this bonus will be capped at £20. This means that only a maximum of £20 will be added to your withdrawable balance. Any remaining balance exceeding that amount upon successful wagering will be voided. 10.This bonus can only be used to play on any of our slot games. 11.Minimum withdrawal is £10. Players must register a valid payment card, for the purpose of withdrawals. 12.Withdrawal of funds before the wagering is complete will void all bonuses and any winnings of these attributable to the account. 13.Management reserves the right to reclaim any bonus if customers are found to be tampering with or abusing any aspect of this promotion. 14.Standard Terms & Conditions apply. 15.Management reserves the right to cancel, terminate or alter any competition or promotion (or the rules thereof) at any time and without prior notification. 16.Management decision is final in all cases. 1.The Welcome Deposit offer is only available to valid new account holders aged 18 or over making their first 3 deposits with us. 3.To be eligible to claim the Welcome bonus, players must deposit/transfer a minimum of £10 for each of the three deposit matches. 4.Bonus funds carry a wagering requirement of 40x the relevant value of the initial deposit and bonus amount granted. 5.Only wagers made on Real Money games will contribute towards the wagering requirement. Wagers made on Play For Free games will not count towards the wagering requirement. 6.Wagers on Blackjack and Roulette do not contribute to the reduction of the wagering requirement of bonus balances. 7.Once credited your bonus remains valid for 28 days. Should you not complete the wagering requirements in this period, remaining funds will be removed from your account. 8.This bonus can only be used to play on any of our slot games. 9.Only one bonus can be active at a time. If you have an existing Active bonus balance already, this bonus will be added to your pending bonus queue. Please go to “my account” section to view your entire bonus queue. 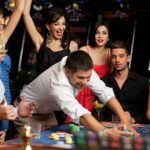 10.Where a customer requests a withdrawal or transfer out of their gaming account, prior to the necessary wagering requirement being met, they will lose all bonus and winnings attributable to the account. Only the sum of the original deposit or remaining balance of the original deposit will be withdrawable. 11.Where any term of the offer or promotion is breached or there is any evidence of a series of bets placed by a customer or group of customers, which due to a deposit bonus, enhanced payments, free bets or any other promotional offer results in guaranteed customer profits irrespective of the outcome, whether individually or as part of a group, Management reserves the right to reclaim the bonus element of such bets. 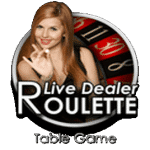 We further reserve the right to ask any customer to provide sufficient documentation for us to be satisfied in our absolute discretion as to the customer’s identity prior to us crediting any bonus, free bet or offer to their account. 12.All such offers are intended for recreational players and Management may in its sole discretion limit the eligibility of customers to participate in all or part of any promotion. 15.Management reserves the right to use first names, initial of last name, nicknames and/or country or town of residence in any promotional announcements, recipients of any promotional bonus and in other marketing activities, whether on the Service or elsewhere. 16.You may opt-out of receiving promotions and associated promotional communications by contacting customer support. 17.Employees, officers and directors of Nektan Ltd, its promotional or other agencies, licensees and licensors, service providers and any other associated or affiliated companies shall not be eligible for the promotion. The same terms shall apply to the direct families of such persons. 18.Although players can be awarded multiple bonuses, only one bonus is active on your account at any time. The bonus balance displayed is the balance of the active bonus only. The entire bonus stack can be seen in your “my account” section. 19.Standard Terms & Conditions apply. 20.Management decision is final in all cases. 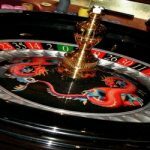 Keep What You Win Free Spins | Slot Fruity Real Bonus! 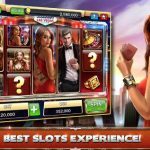 Online Slots Free Signup Bonus – Fruity Slots!